Recently I evaluated which books have been influential to me for a video we shot. You can see the video if you click here. When I was homeschooling one of our daughters we had a motto: Learning is fun! Every day we were excited to see what there was to discover. She was a good sport. 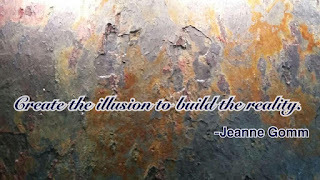 I still find pleasure in learning and personal growth. (I think she does too). As a teenager I didn't read much, who has time with dating, cheer leading, singing, acting, school studies, etc., but after I married and had my first baby I found that I could pick up a book while I was nursing him and get a few pages read. Then I started reading to him which was soothing to us both. As the other children were born I gained more of an appreciation for reading. Now I have some favorites and that even changes periodically. In this video I list five selections you might find noteworthy. Starving to Successful helped me to understand the relationship between artist and gallery owner. 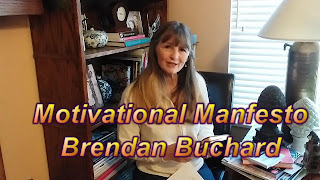 Motivational Manifesto by Brendon Burchard (sorry it was misspelled in the video) is a poetic and philosophical book about striving for a positive future. Steal like an Artist is a whimsical book about how we acquire creativity. The Science of Getting Rich is a wealth of information about what it takes to live an abundant life. Clara and Mr. Tiffany is a novel about Louis Comfort Tiffany and the goings on of his glass studio. I also list some books I would like to read and encourage you to share with me some of your favorite motivating books and magazines. I would love to hear your ideas. Sign Up for our free newsletter below.